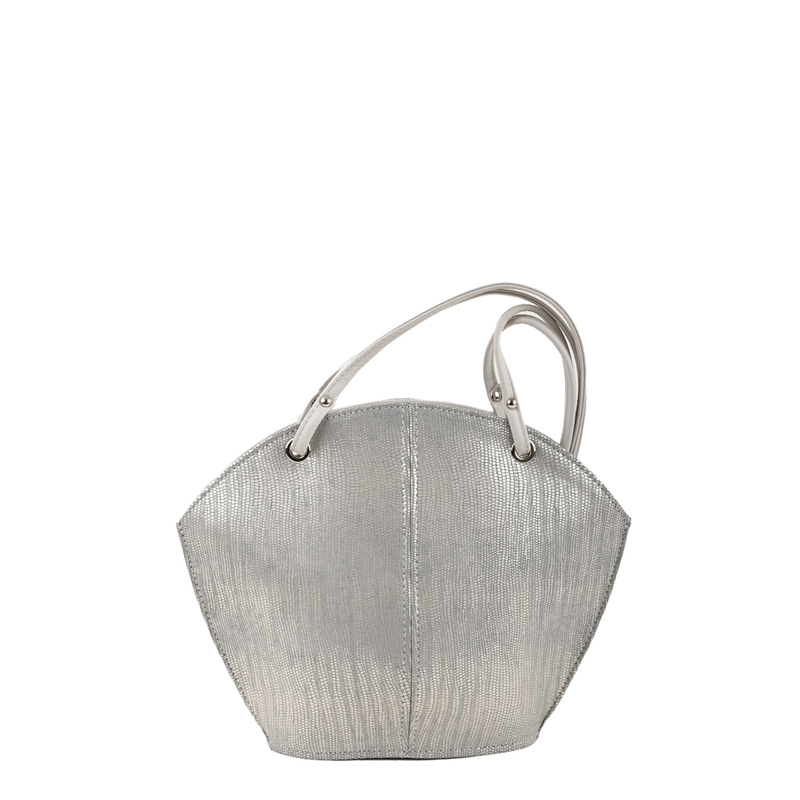 The Ava NEW to the range in silver eel print is a beautiful work of art, she is a smaller version of our classic design the Audrey. 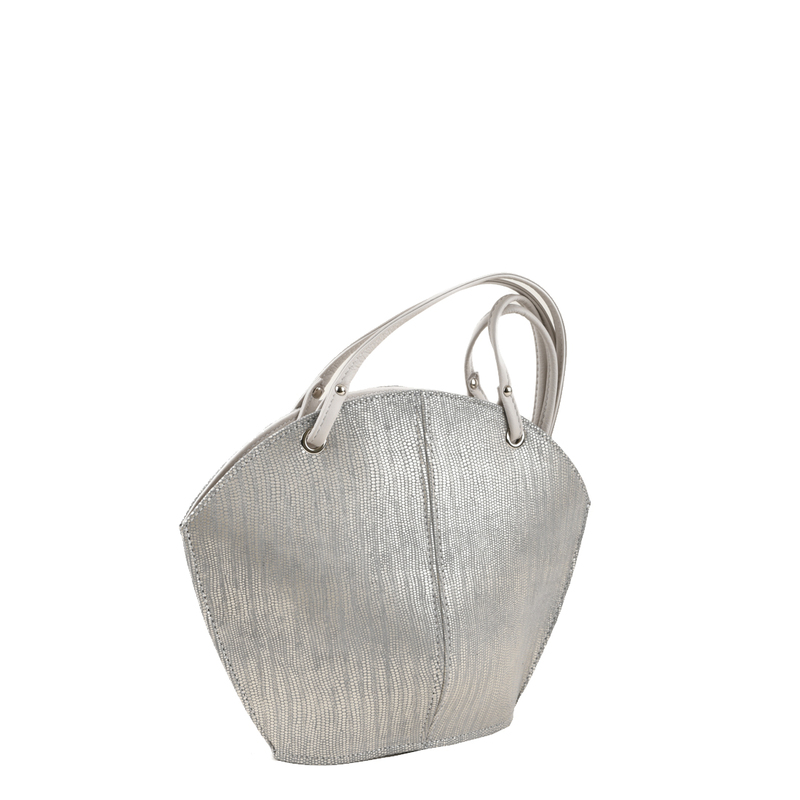 The Ava is a great bag for all occasions, take her to the theatre, a night on the town or lunch with the the ladies. With its wide base and structured shape you will have enough room for your key possessions to store all your essentials, mobile phone, leather make up bag, glasses etc. 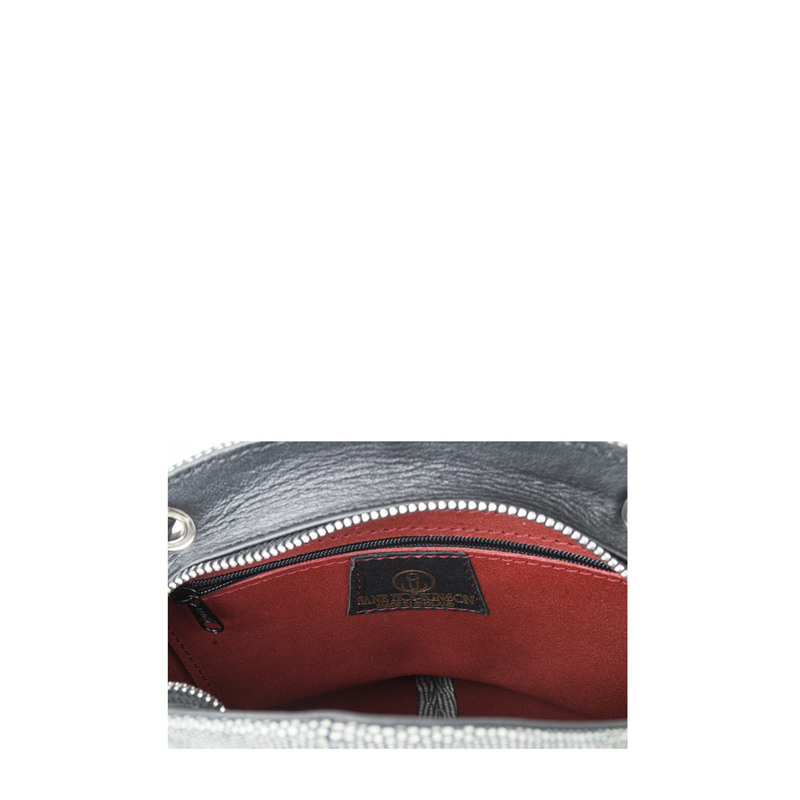 The Ava has a zip top opening, leather lining, mobile phone pocket and inside zip pocket.